Johanna Garth is the author of The Persephone Campbell Series; a modern take on the myth of Hades and Persephone. Johanna lives in McLean, Virginia with her husband and two children. For my fortieth birthday, my darling husband surprised me with a week in Venice...romantic, non? One romantic gesture deserves another, so while we're gone I'm turning off the computer, putting down my iphone and ignoring social media so that I can focus on the man I love. 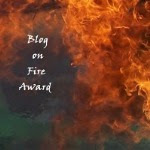 Big thanks to all of you who read, comment, follow or E-Load my blog. Losing Sanity will be back on September 26th. Until then...Ciao!! Whoa, major points for Hubby. Have a beautiful time! What an awesome hubby. I am so jealous. Enjoy your totally fabulous vacation! Thats wonderful of your hubby! Hope you enjoyed your trip! Wishing each and every one of you a peaceful and joyous celebration. See you in 2013.